SNES Pro U Classic Controller (3 in 1) for Wii/Wii™ U consoles. It has got 10 buttons, two joysticks and directional pad. 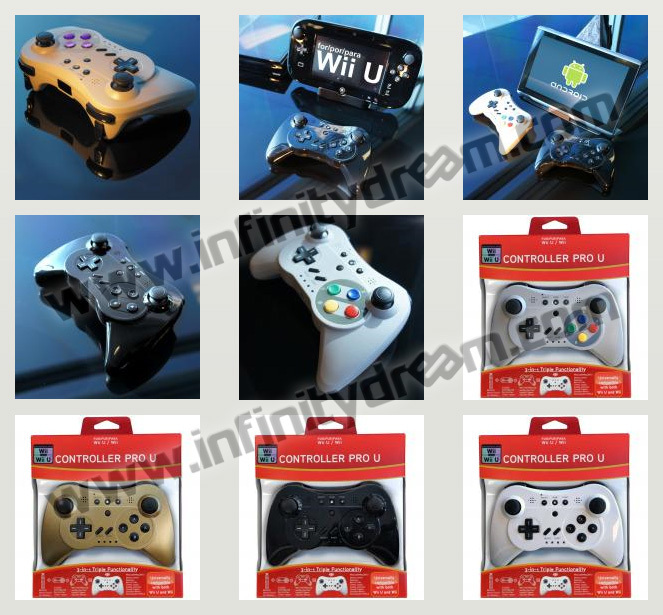 NB : This classical controller can be used with some games : See the list of compatible games.